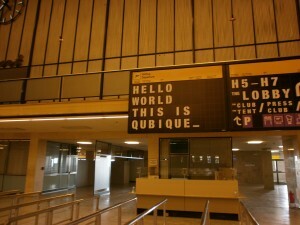 We are coming to Qubique Berlin in a couple of weeks! 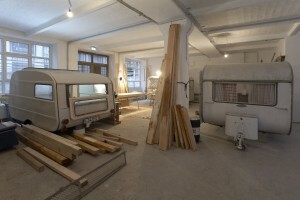 From October 26th until the 29th, we will be at Tempelhof. 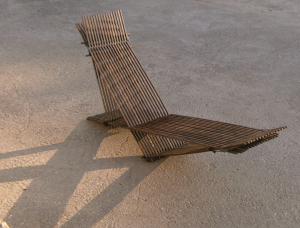 Yoraco González will present his work for outdoor furniture. 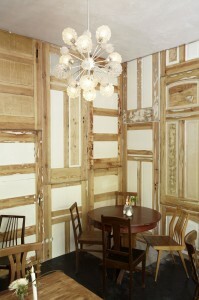 A great collection of pieces made of remnant wood (another word for waste wood!) of the kind use for flooring. 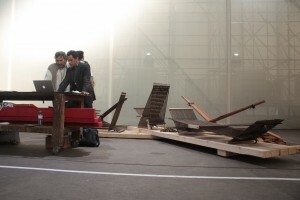 He has team up with Mr. Wood, a leading italian company in wood flooring, to study, classify, design, produce, test, and give shape to these pieces. 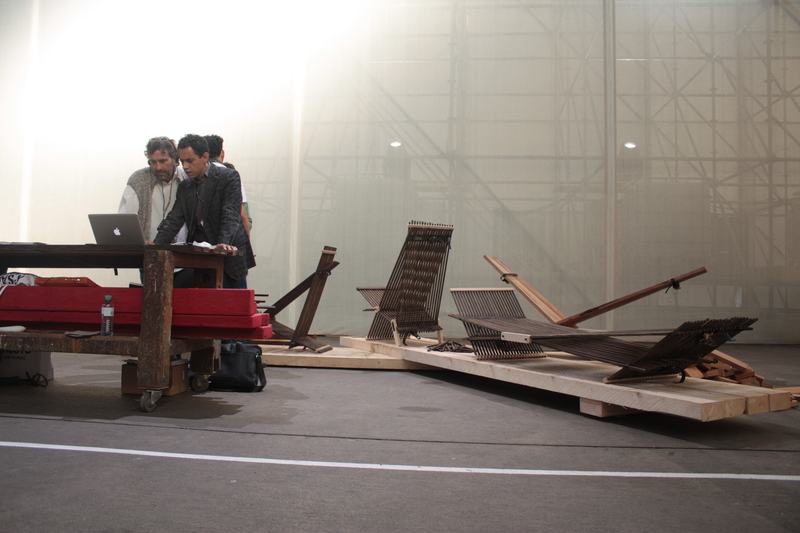 It has been an intense project, between Rotterdam, Berlin and Florence, with materials coming from Perú. We are quite excited about the show. 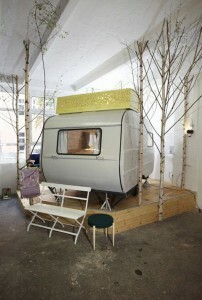 We will be present at the Ventura Berlin zone, located at the entrance of Qubique. Ventura Berlin, organised by the same people of Ventura Lambrate in Milan, is a curated exhibition full of innovative design, products and projects. The ideal place for Yoraco’s work! Additionally, we will invite visitors to follow the Yoraco’s route in Berlin, to see restaurants, boutiques, galleries and many more interiors which have been designed by Yoraco. 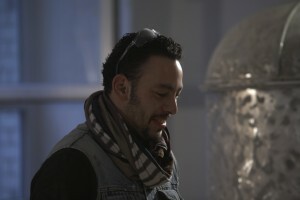 Our exclusive designer and furniture maker, Yoraco González, continues to fill Berlin with his ideas. He is responsible for a few trendsetting interiors in the German capital and he’s gaining more and more recognition. 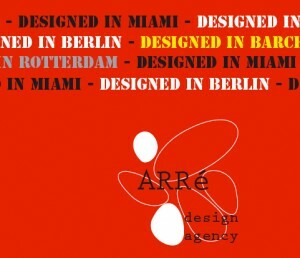 At the moment, Arré agency has secured several projects in Berlin where the creativity and expertise of Yoraco is being used. With the support of Arré, Yoraco can concentrate in design and production, his best qualities and potential in full. Arré manages administration, agency, client contact, acquisition, etc. We are preparing a new collection of outdoor furniture under Yoraco’s name and design. This project will bring Yoraco to Florence, Italy, where he will be working directly on the wood material specially brought to Europe by Andreas Picchi (from the firm Mr. Wood). We are expecting exciting news from Florence. 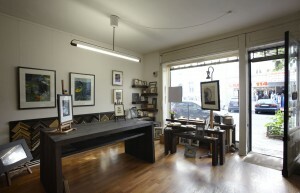 Yoraco’s work tend to be close to nature, close to the character and feel of the wood, and still contemporary and modern.